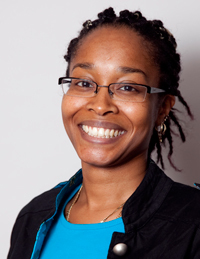 Lisa Newton, founder of Boogles Ltd formed the company in 2004, in the same month that she graduated from City University with a Masters degree in Investment Management. Lisa is a member of the AAT (Association of Accounting Technicians) and the ICB (Institute of Certified Bookkeepers). Her background is predominatantly in accounting, bookkeeping, finance and marketing. The motivation for starting a business at the age of 23, was down to reading the book Rich Dad Poor Dad by Robert Kiyosaki who said that if you want to be rich, you have to learn how to be a business owner and / or investor. Lisa writes a money column for Precious Online, and is an Ambassador for the Girls Make Your Mark campaign, and feels very strongly about encouraging people - young, old, male and female to get out there, have a go, and to start your own business. The goal is to bring Boogles to all businesses who need bookkeeping help, and to get more people to understand how money works. In addition, Boogles have a legal bookkeeping division - aimed at solicitors, and helping them to keep their books compliant with the solicitors accounts rule. The Boogles Kids Club was recently launched, and is aimed at helping young people to improve their maths skills, and to learn the importance of saving. Boogles is currently franchising their bookkeeping service across the UK. What I like about Enterprising Women, in addition to the first class growth support, is that everyone can find someone at their particular level to discuss challenges with and get motivated by. My business is one of the largest in the community, but I regularly get a boost from meeting other inspirational members, especially as I operate almost entirely in a man’s world.